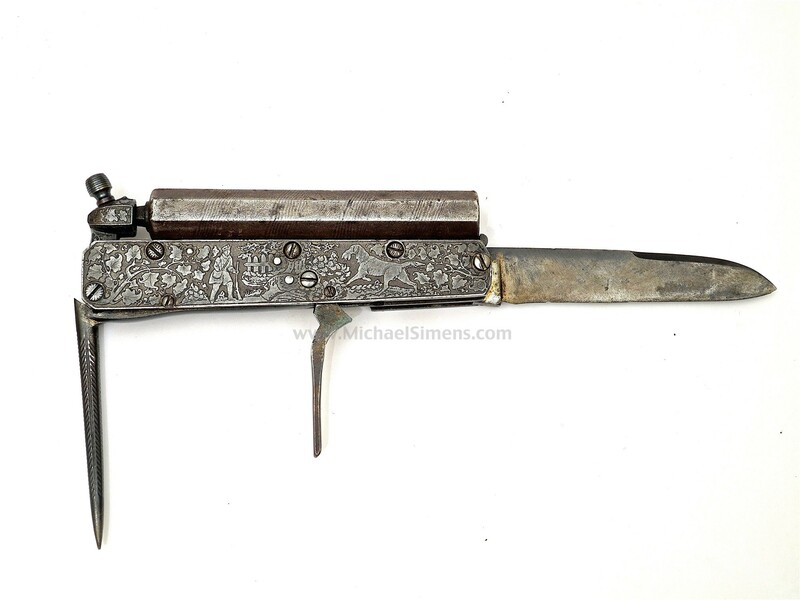 This is a nice little European made Percussion Knife Pistol of approx. 40 caliber. Usually when I see one of these, they are in excellent condition. 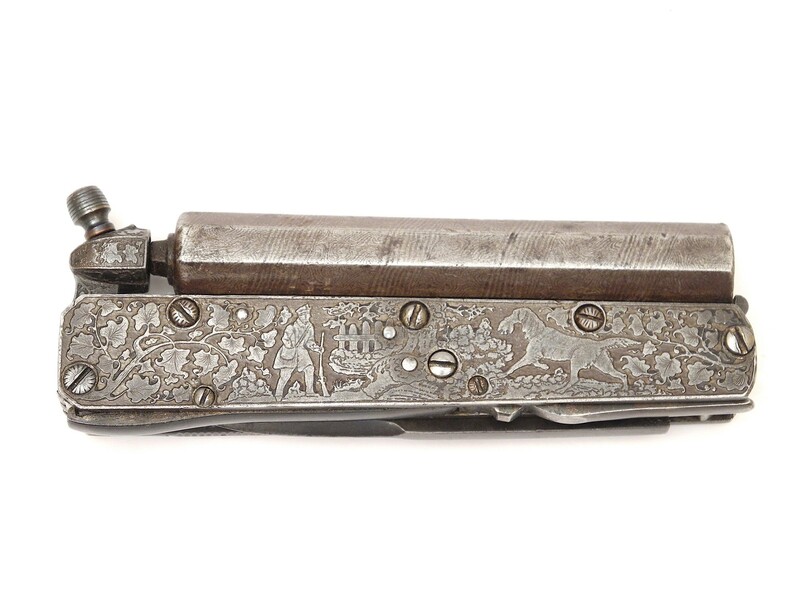 This example was actually used in the field or an everyday carry piece and a bit unusual in that instead of an engraved solid frame, it has a pair of acid-etched panels of a game scene on each side that are screwed to the body. 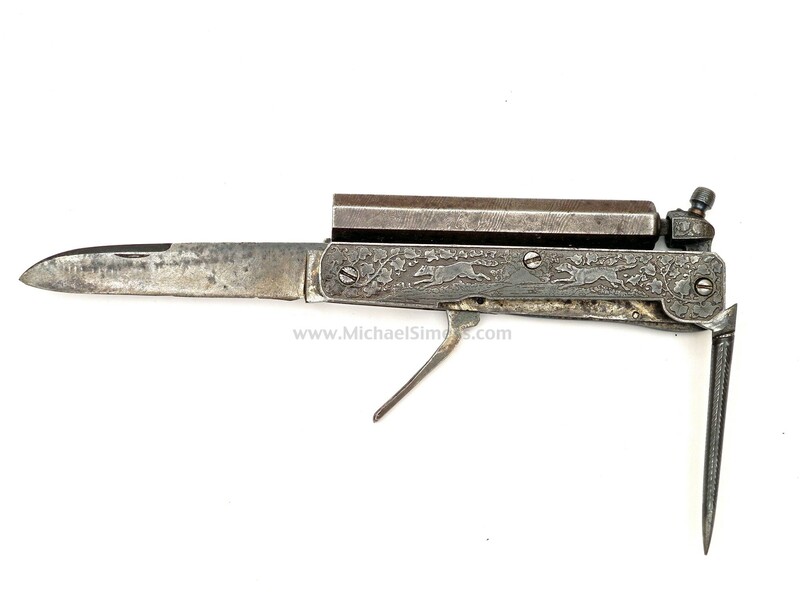 The knife blade and spike are approx.. 4&1/2" each and the frame over-all is almost 6" in length. 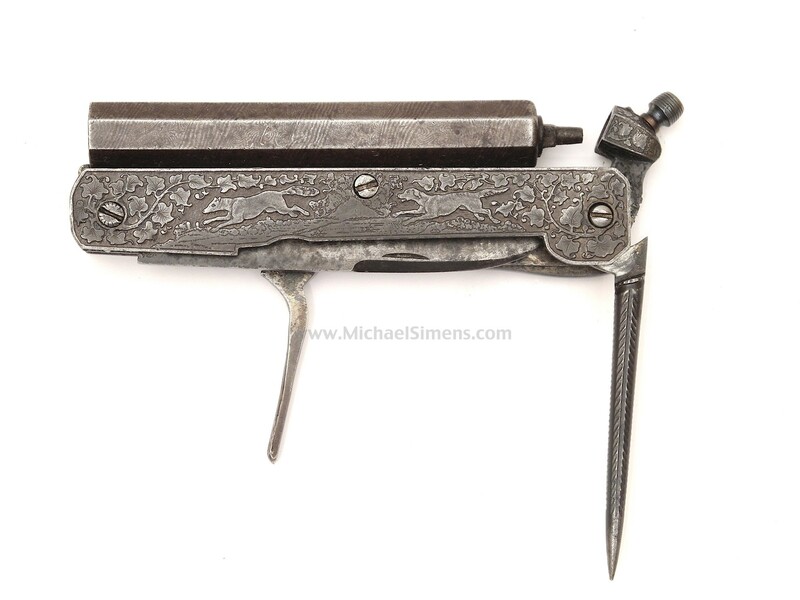 The barrel shows an attractive damascus twist pattern. Action and markings are fine. When new, I'll bet this item was a real beauty.